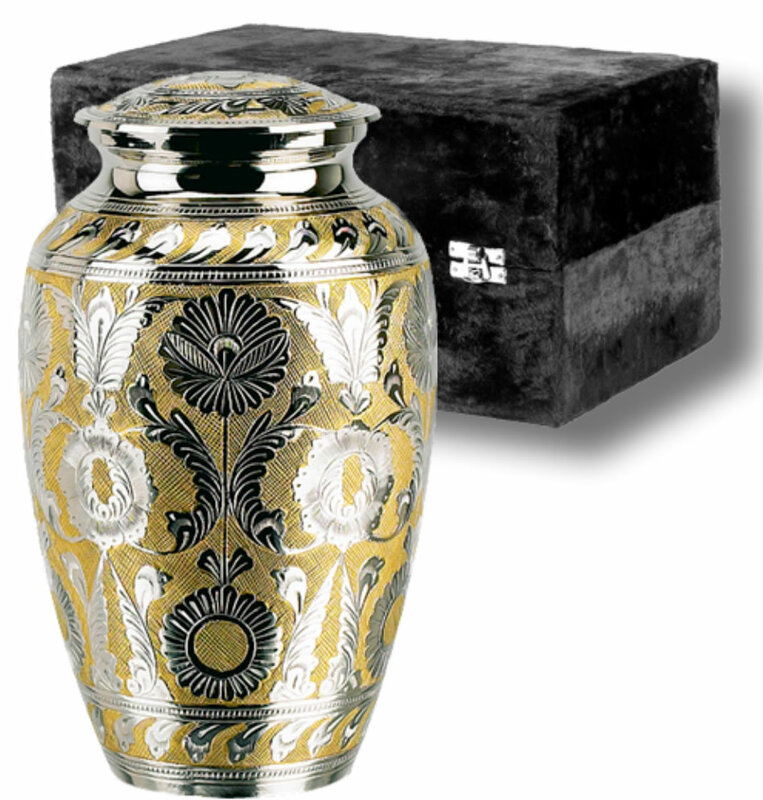 The Classic SilverGold Cremation Urn is a solid brass urn with a hand-etched design over the whole urn and lid. Urns have a felt base. Top-loading with a threaded lid. Each urn comes in a velvet box. The large urn is appropriate for most adults and the medium and small urns are the perfect size for young children, infants, and those beloved four-legged members of the family. 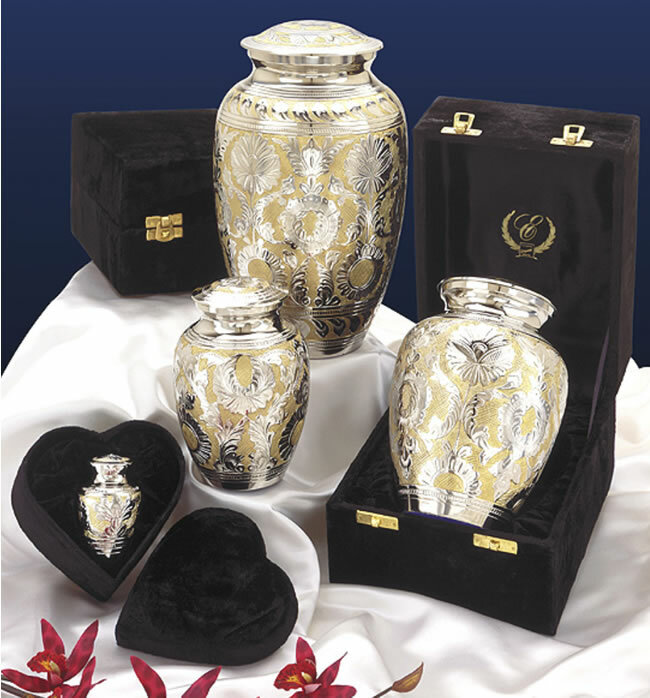 The keepsake size is for those who wish to share a bit of cremains with family members.